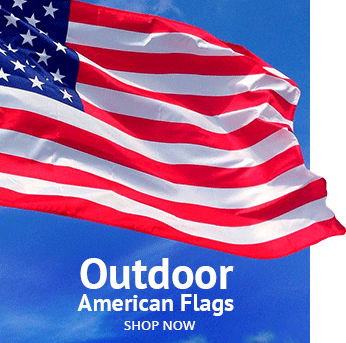 All around the world, individuals, organizations and nations display flags outdoors. The visual and auditory effect of seeing and hearing flags flutter in a breeze, against the sky or lit up at night can leave a lasting impression. 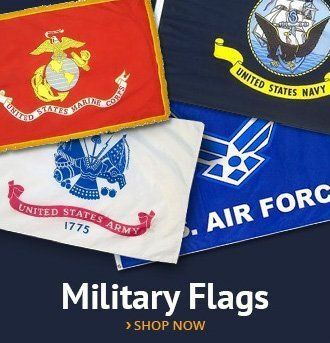 Some outdoor flag displays are permanent and fixed, while others are temporary and/or mobile — set up to celebrate, commemorate and mark an occasion, national day, festival or event. 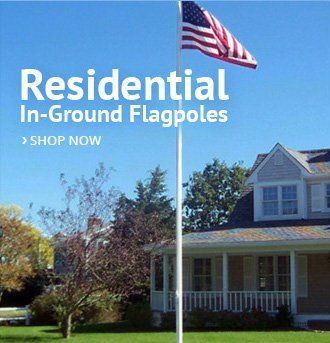 Here are 10 of the best outdoor flag displays, in no particular order, from around the world. Memorial Day tributes, held annually at the end of May, acknowledge and pay respect to those who have died while serving in the U.S. armed forces. 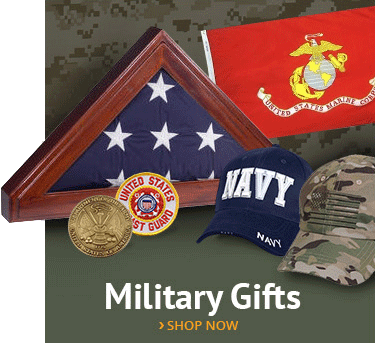 Evocative tributes range from single flags flown at half-mast on public buildings or placed on individual headstones in military cemeteries, to large outdoor flag displays, representing the number of lives given. Displayed in rows outside the main UN buildings are flags from all United Nations Member States. These include the organization’s UN headquarters in New York, The Hague in Holland, Geneva in Switzerland and Nairobi in Kenya. Organized in English alphabetical order, from north to south, all 193 Member State flags displayed must be of the same size, and raised and lowered at the same times every weekday. On weekends, the slightly larger blue and white UN flag flies solo to represent the collective humanitarian effort. One of the most famous shopping streets in London often hangs enormous outdoor flag displays. Suspended above traffic, and between the historic architecture on this busy, curved, route, the Union Jack displayed in multiple rows will mark the occasion of any major British celebration, such as royal weddings or jubilees. For the 2012 London Olympics, a display of 206 flags from participating countries, each measuring 1.8 meters wide by 3.6 meters long, decorated Regent Street for the duration of the games. The Glastonbury Music Festival in England is known for the array of flags and banners on display as much as the music on offer over the five-day event. The festival’s own flags and banners stand long and tall to mark the festival site, and thousands of festival goers get creative and make flags to make a statement of their own, or bring along one to stand proudly representing where they’re from and who they are, or just simply so potentially lost friends in the crowds can find each other! Perhaps not a place many of us will reach, but certainly a journey to aspire to, is the climb to the world’s highest peak — Mount Everest in the Himalayan Mountains. Along the trek, and at basecamps on the journey, strung in the wind are colorful Buddhist prayer flags — usually in red, blue, green, white and yellow. The colors, symbols, images, and writing on the flags, are believed to be transmitted into the atmosphere — bringing blessings and fortune to those in the region. Travel anywhere in France on July 14, Bastille Day, or La Fête National, and the French tricolored flag of blue, white and red will be on display — everywhere. Hung from small window boxes in country villages, or with the main military displays in Paris, the French public celebrations and visual displays of their nationalism are unforgettable. Nautical flags and national flags are displayed near the stern on all vessels traveling through international waters to indicate their country of registration. Yachts, pleasure boats, commercial ships and ocean cruise liners docked at international ports such as Sydney in Australia, Cape Town in South Africa, Hong Kong in China and Vancouver in Canada often display a range of flags to indicate where they have come from, a courtesy flag for the country where they are docked and what affiliations and memberships they have. Annual Saint Patrick’s Day Parades will always include spectacular multi-color flag displays of green, white and orange, to be sure! Held in Ireland (of course! ), and around the world in England, Europe, North America, Russia and Asia, St Patrick’s Day parades gather the wider Irish clan together to mark and celebrate Irish culture and heritage, walking proudly with an assortment of Saint Patrick’s Day flags. Wherever this Canadian company pitches their tent, the size and range of outdoor flags attached to their outdoors marquees will impress. Not just ordinary circus tents, these big tops fly the Cirque de Soliel flag in the center, surrounded by the national flags of every cast and tour member on tour. National flags may be flying to represent individuals working and performing together from all over the world, including Canada, the U.S., Russia, Australasia, Brazil, Europe and many more. Flags are literally thrown, or tossed, in the air at medieval festivals around Italy (and some parades of the U.S.). Thought to have originated from the practice of carrying, and passing, a flag to make a claim following a battle, the now synchronized ceremony has participants hurling flags through the air, accompanied by strong rhythmic drumbeats. Visually appealing and acrobatic events, flags must never be soiled by touching the ground. 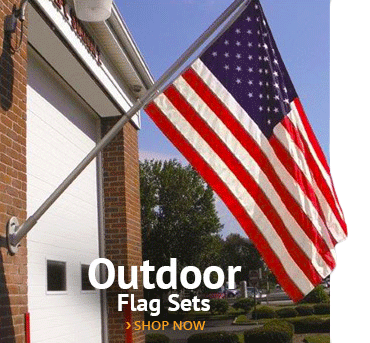 Outdoor flag displays are often moving, impactful and bold statements of patriotism and allegiance. Alternatively, they are also fun and flowing to celebrate and inspire communities to join and collaborate on their shared values and vision. This entry was posted in World Flag Info by Administrator. Bookmark the permalink.